Labor and Employment Law Shibolet recognizes that human resource legal issues involve the people that are the core of clients’ businesses, and that labor and employment related legal issues are crucial both in the day-to-day activity of corporate clients and in the framework of local and international business reorganizations and transactions.Shibolet’s labor and employment team is highly experienced in applying the necessary delicate integration of compliance with highly regulated law, on the one hand, together with corporate managerial considerations, including retention and incentive aspects; organizational sensitivities in situations of personal life events, reddundancies, disciplinary actions, etc. on the other.Shibolet’s labor and employment attorneys work closely, and are familiar with the unique needs of both human resource departments of multi-national and publicly traded entities, and the management of emerging “start-up” companies. They provide a wide range of services in order to create productive working environments that are compliant with Israeli Labor and Employment Law. The labor and employment practice includes: Accompanying labor and employment aspects of complex M&A transactions;Due diligence and disclosures in the framework of transactions and IPO’s;Adapting global employment policies, handbooks, agreements and forms to meet Israeli labor and employment requirements and environment; Advising on a wide-range of employment related legal issues; Formulating “custom made”agreements, practices and policies regarding hiring, ongoing employment, separation, severance, etc., as well as specific fields such as sexual harassment prevention and privacy matters, Proper use of company computers, internet and e-mail, and other matters arising from the company-employee relationship;Counselling and drafting regarding sensitive issues such as employees’ confidentiality, Intellectual Property Assignment, Non-Competition and Non-Solicitation;Advising and accompanying legal aspects of executive and expert relocations to and from Israel;Non-employee human resource arrangements, such as consultants, contractors, outsourcing, etc. ; Designing employee and executive options, stocks, RSU or other equity/cash compensation and retention plans, including adaptation of existing international plans for beneficiaries subject to Israeli taxation;Litigation and representation of clients in the Labor Courts and ADR procedures;Shibolet & Co.'s labor and employment team regularly circulates “Client Updates” and gives lectures and presentations on the dynamically changing requirements and trends in Israeli Labor and Employment law. Regulations and Governmental Relations Shibolet attorneys work in conjunction with clients to proactively structure transactions that align clients' business objectives with governmental antitrust constraints. Awareness of antitrust issues permeates all aspects of the firm's transactional practice and the firm regularly represents clients in submitting merger applications and requests for exemption from restrictive practices to the Antitrust Authority. At the same time Shibolet's fully integrated litigation team stands ready to intervene should governmental authorities unjustly seek to restrain client transactions. The firm's extensive knowledge of antitrust law along with practical trial experience serve to ensure that clients receive the most comprehensive and effective antitrust guidance and counsel. China Practice Shibolet & Co. was one of the first Israeli law firms to provide legal services for Israeli investors in China, and the first Israeli law firm to establish a presence in China. Over the past decade, Shibolet’s lawyers have provided legal services in various types of business transactions involving both Chinese and Israeli clients, gaining extensive experience in the Chinese legal system and business environment. Our team is comprised of premier lawyers with broad legal experience in China, including International lawyers who were involved in the biggest M&A deal of a Chinese entity in Israel, as well as, Chinese speaking Israeli lawyers, enabling us to offer the most professional, efficient and comprehensive legal services to our clients. In addition, Shibolet developed a fruitful cooperation with Da Cheng Law Offices, the biggest law firm in Asia with more than 2,600 lawyers in China and Asia, among them our China practice partner, an Israeli lawyer who is based in Shanghai. Among the services that our attorneys provide are: Handling wide scale and complex M&A, Investment, Joint Venture and other corporate transactions.Incorporation of legal entities in China under different types of structures such as a Sino-Foreign Joint Venture (JV), a Wholly Foreign Owned Enterprise (WFOE), a domestic Chinese company and a Hong Kong Ltd company.Drafting commercial agreements for conducting business in China, including manufacturing, distribution and license agreements.Rendering ongoing legal advice to the companies that are operating their business activities in China.Establishment of venture capital with foreign and Chinese investors.Participation in arbitration proceedings in China International Economic Arbitration Commission (CIETAC) and Hong Kong International Arbitration Center (HKIAC).Strategic planning of investment in the Chinese market. As part of our global vision and international orientation, we consider our China practice as a fundamental practice in our firm. We believe that the cumulative experience of our experts coupled with our extensive and long-term connections in China make our China practice an excellent choice. Telecommunications Media & Internet Whether serving as a leading legal force behind the construction of the major Israeli- international underwater telecommunications cable system or negotiating on behalf of Israel's largest communications carrier, Shibolet provides experienced, highly skilled, innovative and effective counsel to all the firm's domestic and foreign based clients in this field. Shibolet's extensive transactional experience has enhanced its successful representation of key global and local cable, satellite, broadcasting, internet service providers, international calling companies and other telecommunications concerns in their bids, contractual activities and negotiations for major projects in both government and private enterprises, including public and private debt and equity offerings and other project financing programs in Israel and the USA. Aside from representing major foreign telecom companies in all their business interests in Israel, Shibolet represents Israel’s leading national communications carrier in a range of litigation concerning their core business, including a major class action regarding pricing practices. Transactions include the negotiation of a $500 million deal on behalf of a world leading telecommunications company with several Israeli and foreign major players in the telecom and cable fields, and the successful representation of Israel's largest national communications carrier in multi-million dollar complex negotiations concerning its future billing system. Real Estate Shibolet is active in a variety of real estate transactions in both the commercial and residential sectors. The firm represents developers, construction companies, institutional lenders and corporate clients in all matters relating to the acquisition, development, sales, commercialization, construction and leasing of real estate, including evacuation and construction transactions ('Pinui-Binui') and agreements according to the national outline plan 38 ('TAMA 38' - The national overall plan for reinforcing existing buildings against earthquakes) and the national outline plan 38/2 ('TAMA 38/2'). Shibolet handles issues arising from land use and zoning ordinances, title searches and registrations, syndications, and foreign investments.Shibolet has extensive experience and expertise in the tax issues relating to real estate transactions. 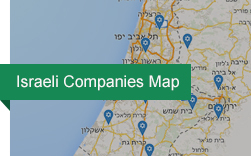 To encourage the growth of industry and employment in Israel's outlying or underdeveloped areas, the government offers many incentives and tax concessions for companies interested in relocating to these areas. Shibolet actively assists clients in obtaining all such government grants and incentives, and advises its clients in zoning, tax and regulatory laws concerning real estate transactions in Israel. Shibolet provides full service legal counsel backed by years of experience and acquired expertise. The firm’s practice serves a broad spectrum of clients from companies traded on domestic and international stock exchanges, public utilities, institutional investors and large corporations, venture capital funds, major banking and financial institutions to start-ups, closely held companies, private individuals and investors. Intellectual PropertyWith the rapid advances in technology, the reputation of Israel’s high-tech and life science industries has come to be recognized as a valuable national resource, supplying a major impetus to the country’s economy. Israel’s tradition of creativity and entrepreneurial drive combined with an individual sense of responsibility for achievement have propelled the relatively small country to a world presence in scientific and technological development. In a recent survey, Israel ranked number six worldwide as a country that was awarded the most patents by the US Patent Office on a per capita basis. Israel is a member state of the Paris Convention, the Patent Cooperation Treaty (PCT), the Berne Convention, the Universal Copyright Convention, international trademark conventions including Madrid, Nice, Lisbon and Strasbourg Agreements, and has effected TRIPS-related legislation to advance harmonization of international protection of intellectual property rights. Israel’s active and modern Patent and Trademark Office affords protection for patents, trademarks and design registrations to applicants from around the world. Shibolet understands that intellectual property rights are one of the most valuable assets belonging to a start-up company or a mature enterprise engaging in continued research and development. Along with a strong focus on the intellectual property rights in the development of hardware and software, the firm’s expertise has successfully expanded to include the burgeoning market of biotech and life sciences. The firm’s attorneys are active and highly knowledgeable in the ever-growing body of laws and regulations pertaining to this industry. The scope of services offered by the firm’s Intellectual Property team include:Review of patents, trademarks, copyrights and design applications, and evaluation for potential exposure to domestic and foreign infringement claims, including pre-registration searches and patentability opinions; Expert patent drafting and evaluation by patent attorneys and technical experts in the fields of: computers, electronics, communications, power systems, mechanics, optics, physics, semi-conductors, biomedical engineering, biochemistry and biology; Filing and registration of IP rights with all patent offices and administrative bodies, such as the PCT, Israel PTO, USPTO and other patent offices and official registrars worldwide; Formation of joint ventures and other partnership entities; Engagement in a wide range of intellectual property litigation to ensure effective enforcement of IP rights before all judicial and administrative bodies in Israel and worldwide, including infringement actions and opposition proceedings; Support services for operational frameworks in order to enable client flexibility in the global market by way of, inter alia, assignments, sale and acquisition agreements, non-disclosure agreements, licensing, confidentiality, and employment agreements adapted for each individual client; Maintaining contacts with local agents all over the world for successful prosecution and enforcement of IP rights; Negotiatiing and drafting technology-related agreements involving software and product licenses, broadcast and communications agreements, multi-media development and Internet matters; Due diligence evaluations. Environment, Cleantech and Climate Change During recent years there have been significant developments and changes in the field of environmental law, and particularly with respect to investments in Cleantech, which have impacted on almost all business activities in Israel and worldwide. In addition, the reporting requirements and officers' liability in connection with environmental issues have been significantly enhanced in recent years. These changes and developments necessitate increased legal assistance and counseling.Shibolet established its environmental practice several years ago and provides legal services in this important field to investors in environmental technologies, entrepreneurs, funds, and corporations which encounter or may encounter issues and problems in the environmental field. Adv. Orit Marom-Albeck is head of the Environment, Cleantech and Climate Change (EC&CC) practice at Shibolet & Co. Adv. Marom-Albeck, who holds a degree in Chemistry from Tel Aviv University, has been practicing environmental law for over a decade, handling the scientific and technological issues from a legal perspective. Adv. Marom-Albeck has practiced in both the public and private sectors. She has interacted with governmental authorities, both in litigation cases and as legal counsel in both domestic and international transactions, which has substantially contributed to the already significant experience and expertise Shibolet has acquired over the years in this field. In addition, Adv. Marom-Albeck teaches environmental law courses in academic institutions, has published articles in this field and together with our firm, co-authored a book which contains the major precedents in criminal, civil and administrative proceedings in the environmental field.Furthermore, Adv. Marom-Albeck has special expertise in the Kyoto Protocol, Cleantech, Climate Change, "green" energy, and trading of emission reduction units. Adv. Marom-Albeck prepared a legal opinion for the Israeli Ministry of Environment regarding the establishment of a national body for the Clean Development Mechanism established under the Kyoto Protocol, and was actively involved in international commercial contracts in this field.The Environment, Cleantech and Climate Change practice group at Shibolet & Co. primarily,provides the following services: Legal counseling to clients regarding the adoption and implementation of environmental corporate policy, including counseling vis-a-vis compliance with regulatory requirements and demands, identification of discrepancies and potential hazards, adopting requisite policies to comply with the regulatory requirements, providing appropriate tools with respect to officers’ liability, preparation of corporate compliance programs, counseling regarding reporting requirements and more; Legal counseling in transactions involving environmental issues, conduction of due diligence and drafting contracts in this field; Counseling with respect to the Kyoto Protocol, Cleantech, Climate Change, "green" energy, and trading of emission reduction units, including drafting of contracts on these issues. Legal counseling to investors, entrepreneurs, funds, and corporations in this field including in international transactions. Representing clients in disputes and crisis, including before authorities and judicial tribunals. - International projects, distribution agreements, representation, agents, direct sales, T&C- Handling RFPs and RFIs – proposal submission and representation in international and local tenders.- Joint ventures and cooperation agreements.- Complex service agreements.- VAR and OEM agreements.- Handling purchase issues, ERP agreements, contracts with service providers and receivers, outsourcing contracts.- Leasing contracts for structures (offices, warehouses, manufacturing plants, etc. ), insurance contracts, credit and loans.- Intellectual property, use of technology: transfer, sharing and selling of technology, hardware, software, royalties, etc.- Mergers and acquisitions, purchasing of stocks, assets and activities, including propriety assessment.- Representation and mediation in local and international legal and business disputes.- Business entrepreneurships, establishing the legal formation of the company’s business entity, and the relationship between founding partners.- Representation during fund raising, financing and receiving of government and other grants.- Handling all labor law issues. Banking and Finance Shibolet & Co. has a strong banking practice representing both business clients in their negotiations with banks, and banking institutions. Shibolet has been closely involved with the Bank of Israel, helping to facilitate all the legal preparations affecting the opening of the Tel Aviv branch of a major international bank. With the increased activity in privatization, Shibolet has developed expertise in project finance, representing business entities in obtaining financing for their projects and financing closures.As part of the "one stop shop" concept, in which the firm offers integrated legal services, the banking and finance practice group accompanies financial transactions in the fields of energy, renewable energy, infrastructure and project financing. In addition, the practice offers its expertise in matters related to venture capital investments. As a prominent law firm in the areas of high-tech, project financing and energy, Shibolet & Co.'s banking and finance practice is a significant leader in the market.The firm’s clients include majors Israeli and foreign banks and other financial institutions. The firm represents a leading European bank in Israel and has been closely involved with all the legal aspects affecting the opening of its branch in Tel Aviv.Shibolet serves as the legal counsel for the Association of Foreign Banks in Israel, a non-profit organization which aims to jointly promote the goals of foreign banks in Israel. The members of this association include major foreign banks that are active in Israel. - International projects, direct sales to governments and via integrators.- Agent and distribution agreements and representation.- Handling RFPs and RFIs – response and representation in international and local tenders.- Purchase agreements with sub-contractors in complex projects, SOWs.- Joint ventures and cooperation agreements.- Complex service agreements.- Handling guaranties.- Transferring, sharing and selling of technology, hardware and software, royalties, etc.- Representation and mediation in local and international legal and business disputes. TaxAcknowledging that tax rules and regulations affect almost every transactional activity, Shibolet's tax attorneys are involved and advise in all the significant transactions handled by the firm. Their expert opinions are crucial to the effective undertakings of the firm’s clients. With extensive experience in Israeli and international tax planning, tax treaties, offshore jurisdictions and respective corporate structures, as well as close ties with tax advisors worldwide, Shibolet is able to offer comprehensive tax planning and counsel in the following areas: Cross-border transactionsMergers, acquisitions and corporate restructuringInternational taxation of venture capital fundsPublic offeringsEmployee stock option plansTax issues relating to high-tech companies and their employees.UnderwritingsFinancingsExecutive interestsOther financial instrumentsTax opinionsRepresentation vis-a-vis tax authoritiesLitigation in courts of first instance and appellate levelShibolet tax attorneys have filled prominent national positions in the field of taxation. One key attorney is the author of an authoritative treatise on the new tax reform laws. Another is a lecturer at professional tax forums, serves as the editor of a tax newsletter and is a contributing editor of a well-known tax bulletin. Shibolet's litigation department has broad experience in all types of commercial and civil litigation, arbitration, mediation and alternate dispute resolution mechanisms. The firm’s litigation team represents the firm’s clients from both the prosecutorial and defense sides of the courtroom. In addition, the firm handles multi-million dollar proceedings and complex lawsuits for a wide range of clients in various fields. Shibolet's litigation clients consist of leading companies from a variety of sectors, such as government companies, public corporations, Israeli and foreign banks, domestic and foreign insurance companies, private entities and corporations involved in industrial and commercial transactions and venture capital funds. Shibolet’s litigation team has vast experience in monetary claims and other actions to obtain varied measures of relief, such as injunctions, declaratory judgments, debt claims, mandatory injunctions, actions against administrative bodies as well as other types of interim measures. Shibolet's litigation team has experience in representation before all courts and tribunals including all levels of the civil court system, the Supreme Court in its capacity as an Appellate Court, the Supreme Court in its capacity as the High Court of Justice, Administrative Courts and Labor Courts. The firm represents its clients not only in the judicial and administrative forums, but also in alternative dispute resolution mechanisms, such as arbitration and mediation proceedings. The firm’s diverse litigation expertise and team skill extend to legal proceedings involving business contracts from a broad range of disciplines such as: corporations, substantive and procedural international law, commercial law, banking, insurance, communications, computers, environmental law, tenders, antitrust issues, mergers and acquisitions, torts, administrative law, professional responsibility, intellectual property, defamation, real estate, taxes and class actions. Shibolet's litigation team also handles dissolution proceedings, liquidations, receiverships and stays of proceedings, and represents a variety of clients in these areas, such as creditors, directors, shareholders, companies and debtors. Shibolet's litigation team also serves as liquidators and receivers. Shibolet & Co.'s high-tech and venture capital practice is among the largest and most recognized in Israel, as more than half of the firm's entire practice is high-tech related, the high-tech and venture capital practice group includes eight dedicated high-tech partners and overall the firm puts forward more than 50 professionals that are involved on a daily basis in the various aspects of the Israeli high-tech industry. Shibolet 's high-tech practice encompasses all aspects and areas of technology from research and development to technology transfer, commercialization of technologies , high-tech manufacturing, fund formation and investment activities. For over three decades, the firm has represented entrepreneurs, start-ups, mature technology companies, venture capital funds, multi-nationals, angel investors and corporate investors for all their M&A and other transactional and financing needs. Shibolet provides its technology clients, both start-ups and mature companies, a full range of services, including corporate, securities, mergers and acquisitions, complex cross border commercial transactions, intellectual property, tax, litigation, labor and employment and environmental law advice. Shibolet has established some of Israel’s leading venture capital funds and represents them and other domestic and foreign funds through their investments and due diligence processes. The firm has special expertise in this practice from the early days of the Israeli venture capital industry and acts extensively on behalf of major Israeli, U.S. and European venture capital funds with respect to their investments in portfolio companies. Shibolet has acted as legal advisor to the Technological Incubator Program of the Office of the Chief Scientist (OCS) since its inception, and has served for many years as special counsel to the OCS. The firm represents a number of privatized technological incubators.Shibolet also boasts extensive expertise in structuring alliances, joint development and joint venture agreements among various high-tech companies, and in the negotiation and drafting of complex technology and IP-related transactions, including licensing, OEM and technology transfer agreements. The firm has also a special expertise in representation both of, and versus, technology transfer or commercialization offices (TTOs) of universities and academic research institutionsShibolet's high-tech practice has special dedicated expertise in most of the high-tech vertical sectors Israel, from semiconductors to communication, enterprise software, mobile applications, gaming, internet & new media, cleantech, medical devices and life sciences. Probably more than any other firm in Israel – Shibolet's high-tech partners have an overwhelming experience in cross-border transactional work, extensively representing clients not only in or from the U.S. and Europe, but also China, Japan, Korea, India and many other countries in Asia and Africa. The firm has special expertise in representing multinationals and their subsidiaries in their activities in Israel, and acting as legal counsel regarding, among others, their intellectual property structure, R&D and governmental grants, regulatory approvals and tax issues. Shibolet's high-tech group, in cooperation with the U.S. firm Fenwick & West, issues on a regular basis the only survey that covers legal terms of venture capital investments in Israel, and compares them to the practices of the Silicon Valley. For the English version of the Survey (First Half of 2012) click here. For the Hebrew version click here.The partners of the high-tech group are considered to be opinion leaders, and are invited on a regular basis to present and lecture in conferences of the Israeli high-tech industry and frequently publish professional articles in industry and business media. - Legal counsel and management to corporations in areas relating to various areas of expertise.- Establishing corporations as well as business strategies and contractual and business relationships.- On-going legal services for everyday issues.- Joint ventures, entrepreneurships, mergers and acquisitions, service agreements, distribution agreements,purchasing agreements, representation in local and internationallegal and business disputes and mediation. - On-going legal In House services for everyday issues to all types of businesses, including high-tech, security and technology companies.- For areas requiring specific and specialized knowledge in legal issues, locating relevant expert lawyers, monitoring services of external lawyers and supervising costs.- Assisting the existing legal department in the company in special projects and within a reasonable budget.\- Assisting in the establishment or re-organization of an in-house legal department, training or supervising new lawyers. Shibolet & Co.'s Capital Markets and Securities practice group is among the leading in its field in Israel and considered a top tier.The Capital Markets and Securities practice group consists of 5 partners and 9 associates with substantial experience and expertise in capital markets and securities transactions. Our lawyers regularly advise clients (issuers, undertakers and others) in public and private Israel and global offering of securities. Shibolet has an extensive securities law expertise in connection with merger and acquisition transactions, spin-offs, tender offers, exchange offers and proxy and consent solicitations. Moreover, our firm advises other law firms and accountants regarding Capital Markets issues. Ernest & Young is one of biggest clients.The Israel Authority and the Tel Aviv Stock Exchange recognize Shibolet's Capital Markets practice group as a well established market leader. We handled one of the largest stock issuances in Israel in recent years (Oil Refineries Ltd.) and the Ministry of Finance selected the group to handle the process of privatizing its shares in the Cross Israel Highway - the largest infrastructure project in Israel.Senior Partner Moshe H. Ne'eman, head of the Capital Markets and Securities practice counsels public and private companies in numerous industries, private equity firms, and banks. His experience includes mergers and acquisitions, securities, debts and financing. Mr. Ne'eman also has deep expertise in representing clients in court in connection with complex corporate and securities matters. Mr. Ne'eman concentrates his practice primarily in cross border global transactions involving public companies and multinational stock markets (New York, London, Paris and Tel Aviv).Mr. Ne'eman teaches the course on capital markets and securities regulation at The Law Faculty of The Hebrew University of Jerusalem Law School.Mr. Ne'eman received his LL.B and M.B.A degrees from Tel Aviv University.